Radio Amateurs from Panama will be active with special call 3E1JT 1 - 31 October 2018. Our event via radio using all the bands SSB including CW mode and SAT, will be from October 1 to October 31. 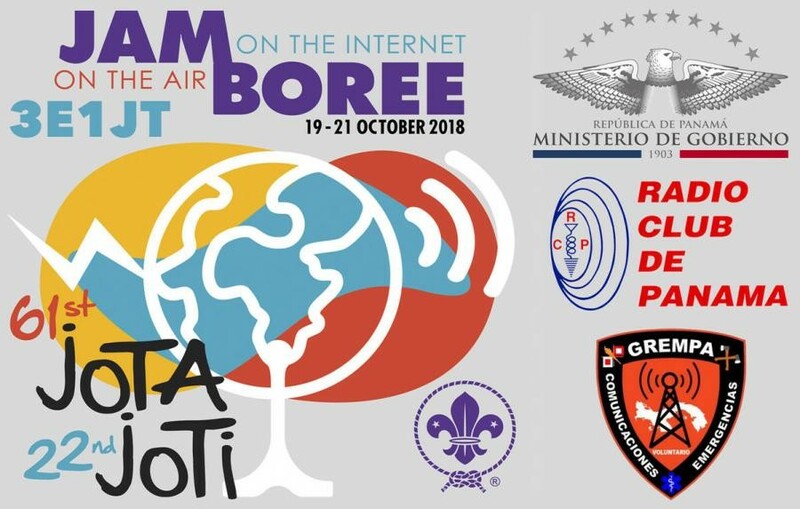 In October 19, 20 and 21 when the boys meet , will be the days that Scout will talk with other countries that celebrates the Jamboree on the Air, RADIO CLUB DE PANAMA a ham radio club and GREMPA is an emergency group conformed with ham radio too, that are supporting the Scouts of Panamá as every year. LUIS O. MATHIEU, HP1ALX, PO BOX NO. 0819-12666, PANAMA, REP. DE PANAMÁ.